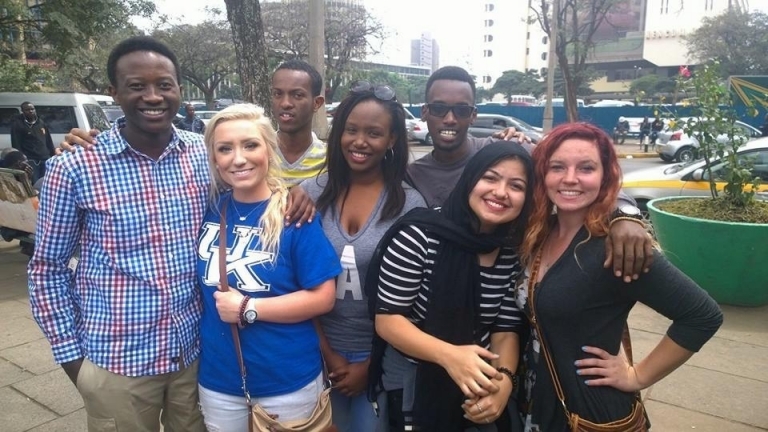 African & African American (AFA) Studies at Eastern Kentucky University invites students pursuing a minor or certificate in AFA to apply for the AFA Study Abroad Scholarship in Africa (ASASA). 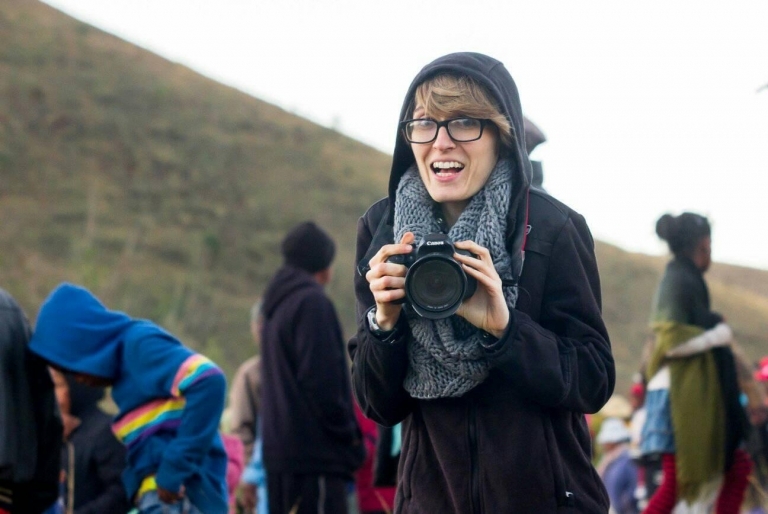 The purpose of ASASA is to increase awareness of and respect for cultural differences by setting aside $2000 annually to support four EKU students interested in studying abroad in Africa. Through this scholarship, AFA is helping to develop Kentucky leaders equipped with broad cultural perspectives that will help them address the needs of our global community. Must be an EKU student pursuing a minor or certificate in African & African American Studies. Must apply to an EKU-affiliated study abroad program in Africa that applies toward an EKU degree and/or AFA minor/certificate. See link for approved EKU study abroad programs: http://studyabroad.eku.edu/. Must consult with Education Abroad Office staff in Keith 129. Call 859.622.8794 or email Katie.Samuel@eku.edu for an appointment. Must submit a projected budget form, signed by EKU Education Abroad staff. Within one month of their return, scholarship recipients must submit at least ten annotated photos, a video journal, and a 500-word essay about their study abroad experience to Dr. Lisa Day at lisa.day@eku.edu. Download, complete, and print the ASASA Application Form and submit it with your resume and a projected budget form to Stacia Cook-McCoy in McCreary 115. If funding is still available in the current financial year, each ASASA award will have a value of up to $500 per student, but could be higher depending on need. Recipients may apply the money for their tuition/fees and other expenses related to their study abroad in Africa. Applications will be received and considered on an on-going basis for enrollment in an appropriate semester for as long as scholarship funds are available. Scholarships are to be awarded primarily on academic merit. Grade Point Average (GPA) calculations will be considered together with involvement in cultural or community activities as revealed in the applicant's resume. All applications will be reviewed by the AFA Awards committee and applicants will be advised by email of the result of their application. For further inquiries about ASASA, and for more information about AFA, please visit our website at http://afastudies.eku.edu/ or contact the Interdisciplinary Studies Director Dr. Lisa Day (lisa.day@eku.edu) or 859.622.7235. Please join us in celebrating Black History Month by participating in our annual writing competition. There will be two separate contests, one for area high school students (including Madison Central, Madison Southern, Berea Community, and Model Laboratory School) and one for Eastern Kentucky University students. The topic of submitted work must pertain to some aspect of the black experience. This competition is an opportunity for students to tell their stories; it shows exemplary writings by high school and college students and honors their achievements as writers and scholars. Any piece completed during the 2018-2019 academic year will be considered for the competition. All individuals who wish to participate in the writing competition must be enrolled in an area high school (Madison Southern, Madison Central, Berea Community, and Model Laboratory) or Eastern Kentucky University. The submitted piece must pertain to a significant historical or contemporary issue, idea, movement, art work, event, country, individual, institution, or group that promotes a better understanding of the black experience in the U.S., Africa, Europe, Caribbean, etc. The submitted piece could be in the form of research essay or report, document analysis essay, poster board, studio-based artwork, creative prose, poetry, creative nonfiction essay, culturally based artistic performance in music/dance/theatre, short story, or multi-media work. The submitted piece of work must be composed solely by the student who is requesting to participate in the contest. Writing submissions will be judged on style and content by a committee of EKU professors. Decisions made by the committee of judges are final. If you want your creative and scholarly work to be considered, please submit your work to Stacia Cook-McCoy in McCreary 115 on or before March 22, 2019. Winners will be notified by April 5, 2019. Prizes will be presented at an awards ceremony. Venue, date, and time TBA. For further inquiries about the competition, and for more information about AFA, please visit our website at http://afastudies.eku.edu/ or contact Interdisciplinary Studies Director Dr. Lisa Day (lisa.day@eku.edu) or 859.622.7235.